Though the Global Seed Vault may not seem so vast within the scheme of all that surrounds it, the Vault roots itself far beneath the surface in order to store and protect a planet's crop future. Lucas' current selection of prints come from his recent expedition to the arctic island of Svalbard, Norway. 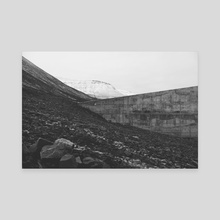 These images, along with dozens of others, are in the process of cumulating into a book about the Svalbard Global Seed Vault and its presence within a larger landscape. 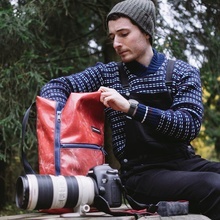 Lucas plans on pursuing photo research projects that educate and disseminate information concerning our global environment and the different ways in which we are acting to preserve & restore what we can.